Pavement to Pick Fan for Ikea Shopping Spree! You could win a trip to the low-cost Scandinavian superstore with a member of the lo-fi indie rock legends. Click here for details. Trips to IKEA can certainly be overwhelming: In the Ektorp series, for example, do you opt for the love seat, the corner sofa, or the guest-accommodating sofa bed? And don’t even get us started on the tricky Idemo beige versus Redeby light beige decision — we stay up at night wondering if we made the right choice. Which is why you need help. 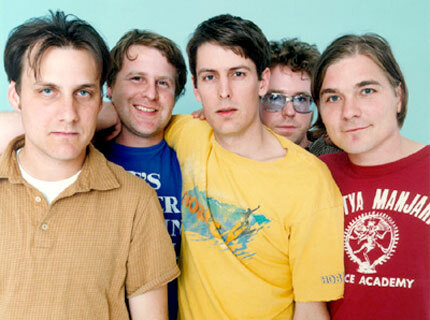 From a little lo-fi band fans are hoping might reunite, by the name of Pavement. To commemorate the release of the expanded edition of Pavement’s fourth album, 1997’s Brighten the Corners, Matador and imeem have launched an IKEA shopping spree contest that plays off of the album’s tune “Date with Ikea.” (Penned by Pavement member Scott “Spiral Stairs” Kannberg, the tune will, of course, appear on the album, which is due for re-release December 9) [Via pitchforkmedia.com]. Here’s how the contest works: Submit a photo of your abode and a short essay describing why your environs are most deserving of an indie-helmed makeover to the Pavement Fans group on imeem. The entrant deemed most worthy will walk away with a $500 IKEA gift card and a date with a yet-to-be-announced member of Pavement as your shopping buddy. The contest runs from now through December 6, with the winner due to be announced on December 9.